Ron and Maggie Tear Photography: Spot lit. After a heavy blizzard in the Swiss Alpes, the cloud began to break. 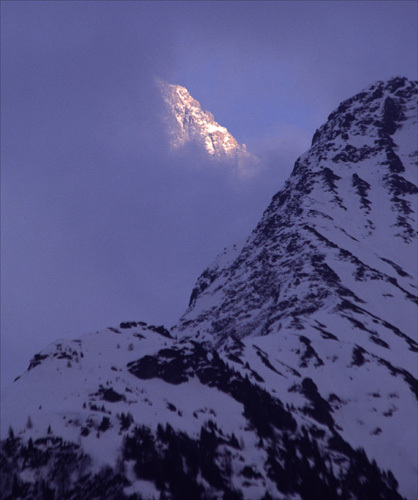 A hint of sunlight illuminated this peak briefly. Allowing just a glimpse into the distance.